1. What’s the location/ schedule of the new position? Does the new position allow you to work from home or does it require going into office? How long is the commute? Do folks stay late or leave at 5 o’clock? These are important considerations. Some folks are okay with a commute and longer hours, and others not so much. Be sure to be honest with yourself about what you’re comfortable with, because over time it could take a toll on your enthusiasm for the position. 2. What in the world will you be doing anyway? Make sure you fully understand the details of the responsibilities of the position. Don’t wait until the positions begins to learn about your new role! 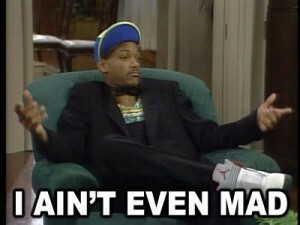 The moment you realize there is an aspect of your position you didn’t expect can be a rude awakening. If you’ve done any amount of investigation around how to interview well, you’ve likely run across advice to ensure you come to interviews prepared with a few specific questions to ask the interviewer. This advice is very logical, yet so many interview without taking the time to prepare for this essential step. In order to really determine if the job is the right fit for you, it’s very helpful to be prepared to “interview” the employer too. Sometimes the best way to prepare involves a little soul searching, and we’re going to assume that the obvious things like commute, overall responsibilities, and pay are already in line with your expectations. To land a job you actually enjoy, it’s important to really know yourself and what you prefer in a work environment. Let’s take a look at a few important questions to ask yourself, so you can frame relevant questions for the interviewer as you consider a potential career move. Day one, hour one at your new job and you find in the stack of onboarding paperwork a “Covenant Not to Compete” or a “Restrictive Covenant”. Also known as a non-compete. What is it? Why do they want you to sign it? And what options do you have? 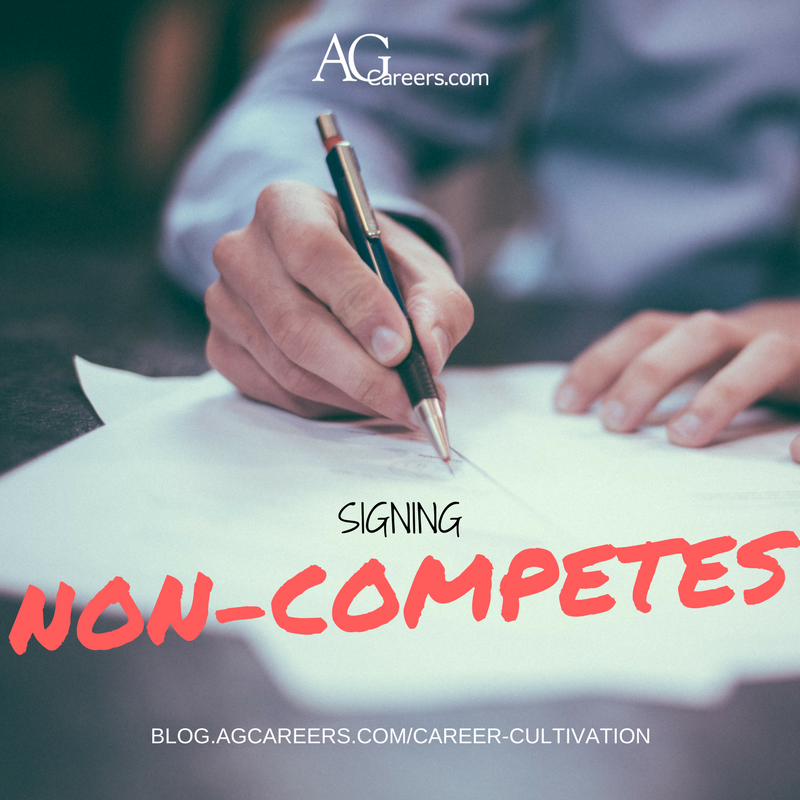 A non-compete agreement, also known as a Covenant Not to Compete or Restrictive Covenant, is a contract between an employee and employer which restricts the ability of the employee to engage in business which competes with the employer within a certain geographic region for a certain period of time. By signing it, you agree that you will not compete with your employer by engaging in any business of similar nature in any capacity (employee, contractor, owner, investor, etc.). Ugh. But before you get too discouraged about the rejections, there are a few positive things that can come out of getting that rejection letter. One closed door opens another. Sometimes it is amazing how your career path twists and turns. I remember early on in my career, I wanted to break into the pharmaceutical sales arena. It is a tough world to “switch” to if you don’t have specific product sales experience. People have even written books on how to navigate a transition to pharmaceutical sales (I know, because I bought one). My background and networking were enough to get me into the interview round, but I ended up getting beat out by experience several times. Had I landed one of those first few attempts, I wouldn’t have embarked on the journey that led me to the great career I have now! Are you trying to make heads or tails of your most recent job offer? Or maybe you are weighing two opportunities at the same time. Perhaps it seems obvious you should accept the highest pay. But what about benefits? Whatever your situation here are some points to ponder before you sign the on dotted line. Money talks, but you can’t always listen. We are all trying to make as much money possible to secure our future. Even though the obvious answer may be to strive for the highest salary, it’s not everything. We often see employees change jobs and step away from glamorous high paying jobs to do something that makes them happier, less stressed, or creates more of a work/life balance for them and their family. Step one is to look beyond the dollar signs and ask yourself, will I be happy in this role? 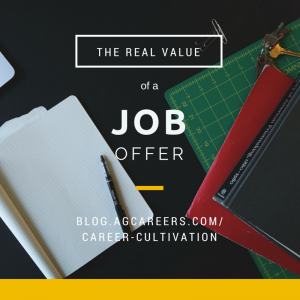 Once you know where your heart lies, you can really begin to weigh out how the job offer adds up. Focus first on the pay structure. What’s the base salary and is there additional earning potential like bonuses, incentive, or commission? Base salary plus performance pay is called total cash, this is what you can expect to bring home in a year. This is where you need to ask some questions of the employer to understand what is the target total cash compensation (base salary + performance pay if goals are met) versus actual total cash (base salary + performance pay actual paid out). Ask informed questions around how performance reward programs are structured like how is performance measured, are the earnings capped, what stipulations exist, is there additional earning potential beyond the program presented, and how often goals are typically met by those already in the role. So you’re thinking about asking for a raise. Good for you! 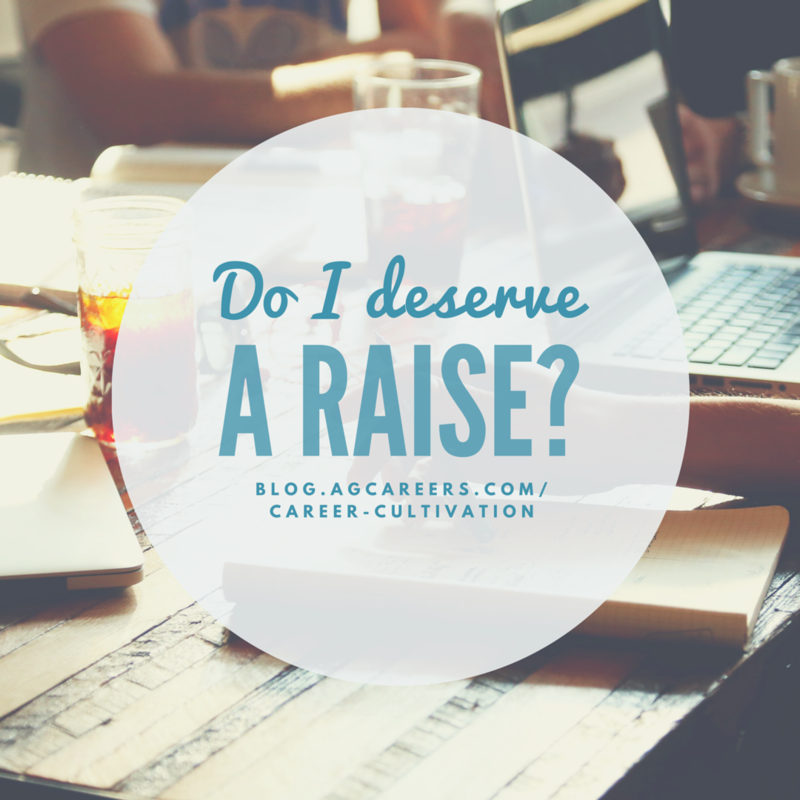 But first, ask yourself before you end up rejected and feeling defeated: do I deserve a raise? That’s a loaded question, one that can’t simply be understood unless you understand the context of asking for a raise. Here are a few other questions to consider before you take a deep breath and head for your manager’s office. Are professionals in my line of work being paid more than me? Quick answer, yes! Someone somewhere is making more money than you, doing your exact same job. It’s the truth. Looking at agricultural employee compensation for almost 10 years now, I can tell you that not everyone is making the same thing. In fact, sometimes I am surprised to see the variation that exist within our industry or even within the same company.